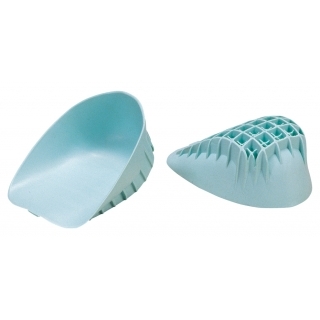 Tuli's™ Heel Cups Unique waffle design absorbs shock and pressure at heel strike. Standard style used for all activities. Pro style has wider, double-waffle design to absorb pressure from high impact sports. Sold in pairs.